Draft: 2013, New York Mets, 12th rd. Jeff McNeil graduated from Nipomo (CA) High School before attending Long Beach State...Began using a knobless bat in 2016 after one was given to him by Lamar Johnson, the Mets minor league hitting coordinator...Has used one ever since...At Nipomo, played golf, baseball and basketball... Was a three-time All-League selection in golf and a two-time honoree in basketball...Was named to the All-Academic Big West team in 2012...Is a scratch golfer...Participated in the US Junior Amateur Golf Tournament in 2009...Jordan Spieth played in the same tournament...His brother Ryan was a third-round selection by the Chicago Cubs in the 2012 First-Year Player Draft and has pitched in the Cubs system since 2012, most recently with Tennessee (AA) of the Southern League in 2018. Finished tied for sixth in the NL Rookie of the Year Award voting, garnering one fifth-place vote...His .329 average and six triples led all NL rookies...Had his contract selected from Las Vegas (AAA) of the Pacific Coast league on July 24...Made his major league debut that night as a pinch-hitter and recorded his first MLB hit with a single...Made his first MLB start on July 26 at Pittsburgh (started at third base)...Hit his first major league homer and recorded his first RBI on July 31 at Washington...Hit .329 (74-225) with three homers, 11 doubles, six triples, 19 RBI, a .381 OBP and 35 runs scored...From his debut through the end of the season, led the Mets with 74 hits (tied for eighth in majors) and a .329 average (eighth in majors, min. 200 PA)...Ranked second on the team in that span with a .381 OBP (13th in NL)...His .381 OBP was the third-highest by a Mets rookie in franchise history...Only Wally Backman (.387) and Dave Magadan (.386) posted a higher OBP in their rookie season (min. 200 PA)...Hit .340 (36-106) over 27 games in September with five doubles, three triples, one home run, nine RBI and 18 runs scored...His 36 hits in the month were the third-most in the majors and his .340 average as the fourth-best in the NL for September (min. 80 PA)...His .340 September average ranks as the second-best September average by a Mets rookie in club history (trails Darryl Strawberry, .376 in September 1983 min. 80 PA)...Hit safely in 34 of his last 40 starts, going 60-167 (.359) with nine doubles, six triples, 15 RBI and 29 runs scored...Registered 20 multi-hit games...Had eight games with at least three hits, the most in Mets history through 63 career games...His six second-half triples were a Mets rookie record and were tied for the major league lead...Only Mookie Wilson (eight triples in 1981) and Darryl Strawberry (seven triples in 1983) had more as a rookie...Had a hit in eight straight at-bats from August 19-22, the longest stretch by a Mets rookie in team history... John Milner held the previous record of seven...Research courtesy of Elias...Reached base safely 22 consecutive starts from August 13-September 9, the longest streak by a Mets hitter in 2018, recording a .443 OBP in those games...Hit safely in 14-straight starts from August 13-28 (23-58, .397)...Had a career-best 11-game hitting streak from August 16 (2)-August 26, tied for the third-longest among NL rookies...Went 19-40 (.475) with three doubles, two triples, five RBI and a 1.123 OPS in that span...Was named the Sterling Award winner for Binghamton (AA), emblematic of the team's MVP...At the time of his promotion to the majors, batting .342 (116-339) with 26 doubles, five triples, 19 home runs, 71 RBI, 72 runs scored, a .411 OBP, a .617 slugging percentage and a 1.150 OPS in 88 combined games between Binghamton (AA) of the Eastern League and Las Vegas (AAA) of the Pacific Coast League...His 1.028 OPS was fifth-highest among all full-season minor league players while his .617 slugging percentage was third-best among full-season minor leaguers...His 71 RBI were 15th-most in the minors...Hit .368 (46-125) with 10 doubles, two triples, five homers, 28 RBI and a 1.027 OPS in 31 games for the 51s...His run with Vegas included an 18-game hitting streak from June 18-July 6 during which he batted .421 (32-76) with 13 extra-base hits, 20 RBI and 15 runs scored...He hit safely in each of his final seven games with Las Vegas prior to his promotion and in 28 of 31 games overall. July 24, 2018 New York Mets selected the contract of 2B Jeff McNeil from Las Vegas 51s. June 16, 2018 2B Jeff McNeil assigned to Las Vegas 51s from Binghamton Rumble Ponies. April 13, 2018 Binghamton Rumble Ponies activated 2B Jeff McNeil from the 7-day disabled list. April 7, 2018 Binghamton Rumble Ponies placed 3B Jeff McNeil on the 7-day disabled list retroactive to April 6, 2018. April 5, 2018 3B Jeff McNeil assigned to Binghamton Rumble Ponies. 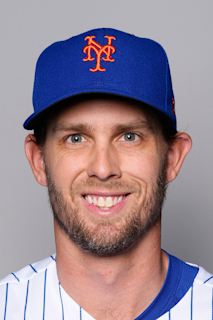 February 26, 2018 2B Jeff McNeil assigned to New York Mets. August 17, 2017 2B Jeff McNeil assigned to Las Vegas 51s from St. Lucie Mets. July 7, 2017 St. Lucie Mets activated 2B Jeff McNeil from the 7-day disabled list. May 1, 2017 St. Lucie Mets placed 2B Jeff McNeil on the 7-day disabled list. April 25, 2017 2B Jeff McNeil assigned to St. Lucie Mets from Binghamton Rumble Ponies. April 24, 2017 Binghamton Rumble Ponies activated 2B Jeff McNeil from the 7-day disabled list. April 6, 2017 Binghamton Rumble Ponies placed 2B Jeff McNeil on the 7-day disabled list. September 26, 2016 Binghamton Mets activated 2B Jeff McNeil from the 7-day disabled list. April 22, 2016 Binghamton Mets placed 2B Jeff McNeil on the 7-day disabled list retroactive to April 21, 2016. March 6, 2016 3B Jeff McNeil assigned to New York Mets. September 3, 2015 3B Jeff McNeil assigned to Binghamton Mets from St. Lucie Mets. September 1, 2015 3B Jeff McNeil assigned to Salt River Rafters. March 7, 2015 2B Jeff McNeil assigned to New York Mets. June 19, 2014 3B Jeff McNeil assigned to St. Lucie Mets from Savannah Sand Gnats. March 30, 2014 2B Jeff McNeil assigned to Savannah Sand Gnats from Kingsport Mets. June 20, 2013 2B Jeff McNeil assigned to Kingsport Mets. June 19, 2013 New York Mets signed SS Jeff McNeil.